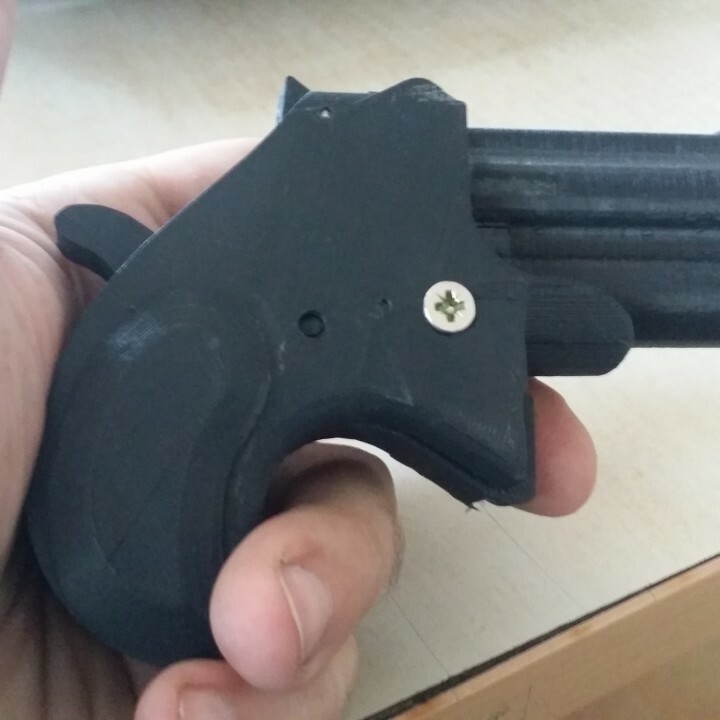 A easily printable version of the derringer rubber band gun from rbguns.com. I have reduced the number of parts and filleted some edges. The barrels have been redesigned to be more realistic adding rifled barrel and a fake safety lever. 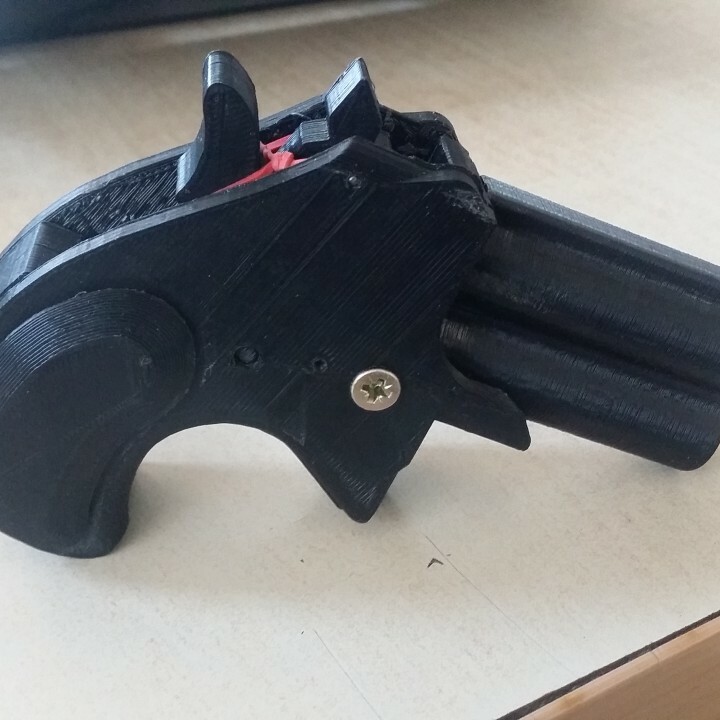 The file "Full Derringer" contains all the parts, must fit in a 20x20 cm base. There are separated files for smaler printers. You can use rainbow loom rubber bands as ammo. You also need two steel nails 2mm diameter X 24mm long and a 40mm rubber band to use it as recover spring of the hammer. Finally use a ballpen spring choped in two to put the big part (21mm) inside the barrel hole and the rest in the trigger. Visit Rbguns.com, a great site from the very creator of this devices to learn about the assembly. Be sure the part "Armazonsoft" its really flatened in the base, otherwise sunk it 0.10mm.